Kimberly Telhiard, MHA, COPM, has over 13 years of progressive healthcare and leadership experience. Her background in process improvement, resource management and developing strategic plans makes her an industry asset. 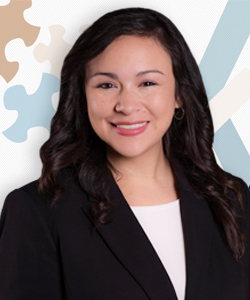 Kimberly specializes in financial analyses and practice management. She has extensive experience with the conversion and implementation of new electronic medical records systems and spearheaded the development of a new website and simultaneously, impacted and enhanced marketing ratings in a private practice setting. Her diversified expertise extends from traditional finance assessments to performing physician practice analyses, marketing, and human resource management. She began her career in Registration and Admissions. This frontline experience allowed her to implement changes due to her understanding of the process for data capture. By utilizing analytics to focus on problem areas, subsequent process improvements led to improved efficiency and several cost savings initiatives. Her passion and commitment to patient care continued to evolve. Kimberly is also a Certified Surgical Technologist. Her experience spans across multiple specialty areas which include: General Surgery, Orthopedic Surgery, ENT, Electrophysiology, Ophthalmology, Vascular Surgery, Urology, OB/GYN and Robotics. She was on the team that started the Intuitive Robotics program at a local hospital and was also the Ambulatory Surgery Specialty Coordinator for the Ob/Gyn service line. Her clinical experience in the Operating Room enabled her to gain a practical understanding of the framework and structural development of how imperative it is to foster an environment of safety while providing quality patient care. Kimberly earned her Master’s Degree in Healthcare Administration from the University of West Florida. She has also obtained Certification in Otolaryngology Practice Management (COPM), and is an active member of the Medical Group Management Association (MGMA). She is also a nominee for the American College of Medical Practice Executives (ACMPE). She has built a strong foundation in evaluating and implementing processes related to finance, marketing, human resources and operations.